Dr Fiona Payne qualified from St Thomas Hospital Medical School in 1990, having won the BMA student journalism award in 1987. She pursued a career in writing for three years, as the medical editor for Dorling Kindersley, advising on a medical series for the American Medical Association and numerous health books for adults and children before resuming her medical training. Over the next few years she aspired to train in Obstetrics and Gynaecology, but with two young children and a newly appointed consultant surgeon husband, she decided to pursue a career in General Practice, and was a GP partner in a large NHS practice in Putney for the next 13 years. 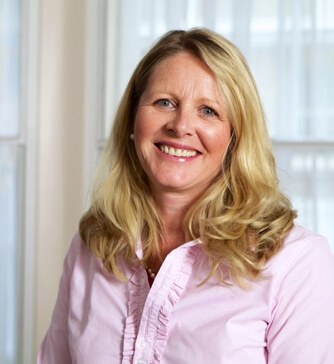 In 2010, Fiona moved into the independent medical sector with a GP colleague, Dr Justine Setchell, setting up their Private GP practice, GPatLondon W1, initially based in Harley Street, and now at King Edward VII’s Hospital. In 2012, they developed an innovative online private medical consultation software called GPatHome.com for which they received an Angel Academe Entrepreneur award in 2015. Although GP at London W1 covers all aspects of family general practice, Fiona still keeps up to date with women’s health issues with extra qualifications in sexual health and contraception, menopause and a diploma of psychosexual medicine. Since 2010, she has taken an active role in the Independent Doctors Federation, serving on the council since 2011 and being GP chair from 2012 until 2015, helping other private GPs to embrace mandatory training and CQC advice. Fiona still practises as a GP in the NHS and takes part in NHS roles as a GP Appraiser and Specialist Advisor for the Care Quality Commission.